The Golden State Warriors impressively closed out the Cavaliers on Tuesday night to take home the championship. The championship ended a 40-year drought for the franchise. The Warriors have been mostly a bottom feeder with a few playoff appearances here and there. It wasn’t until Marc Jackson took over for the team four years ago that things really turned around. The Washington Wizards and Golden State Warriors have a lot of similarities. Young core of players, recently emerging from the bottom of their respective conferences basements to make regular playoff experiences (ok I know two years), and a flashy point guard that will appear in many All-Star games for years to come. Here’s what the Wizards can learn from the Warriors to take that next step to the Promised Land. The Wizards desperately need a stretch power forward. I’m not going to beat a dead horse here but did you see what a player like Draymond Green can do for your team? Let’s move on. The Wizards need better wing defenders. I’ve stated before that the Pierce signing was a home run and there’s no need to second-guess it even if he doesn’t return next season. The team needed Pierce’s veteran presence. However, the Wizards don’t currently have good wing defender. Pierce is old, the verdict is still out on Porter, and whatever happened to Martell Webster? There’s no Andre Iguodala type player on this team. 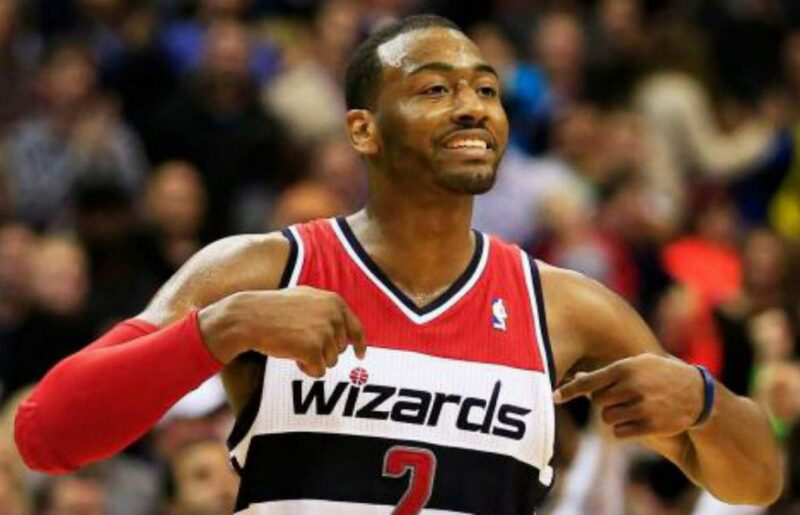 No wing on the Wizards can be counted on to lock down the opposing team’s small forward. Just look at the Atlanta series. DeMarre Carroll, a very good player but not an All-Star averaged 16.7 points against the Wizards in the series. Now that number isn’t mind-boggling but the Atlanta Hawks aren’t built for one guy to take over. He had his way when Pierce was guarding him and Otto Porter and Garrett Temple didn’t fare much better. The Warriors on the other hand, had a full arsenal of wing defenders to throw at LeBron; Thompson, Iguodala, Barnes, and sometimes Livingston. The Wizards don’t have that luxury. In addition to a versatile big man, the Wizards need to strongly consider improving the small forward position either through the draft or in free agency. So I hear Kevin Durant is a free agent next year? Even so, he’s a good matchup against LeBron for TV ratings but is far from a lockdown defender. KD is a scorer. Something tells me that if the Wizards threw different looks at LeBron with Pierce, Porter, and Webster; that wouldn’t have altered his game too much as DeMarre Carrol didn’t seemed too bothered. And let’s be honest here; as long as LeBron is in the east, the east goes through Cleveland. Is stacking up at the small forward position the #1 priority for this team? No, but aside from acquiring a stretch four, it should be next on the list. One coach may only be able to take a team so far. As the days go on, it’s pretty likely that Randy Wittman be around next year coaching the Wizards. As we learned from the Warriors, they fired a coach who took them to the conference semifinals after years and years of mediocrity. Marc Jackson inherited a young core of players and got them to the playoffs three straight years. Even though he brought the Warriors team out of the shadows of mediocrity, he still got canned. It was rumored that that his old school style of play didn’t suit well with the front office but regardless, the guy is a good basketball coach. He’s tough nosed, old school, and defense first. Sounds like Wittman. Wittman has earned the right to coach this team another year after the performance in the playoffs this year. No one would have predicted a sweep in the first round and who knows what would have happened if John Wall stayed healthy? The point is, the conference semifinals might be Wittman’s ceiling for this team. Now, I’m not saying the Wizards should go out and get a new coach for the sake of getting a new coach. If there’s a guy out there who the front office believes can take this team to the next level, then they should take a hard look. It’s becoming more and more evident that yes coaching is important; but players still have to make the plays. The Wizards find themselves in an awfully similar situation that the Warriors were in not too long ago. The Wizards finally have some positive momentum rolling and finishing in the basement of the eastern conference is a thing of the past. Lastly, the bar has risen. After back-to-back appearances in the conference semifinals, the expectation is for the Wizards to take the next step just like the Warriors did. Now, the Wizards don’t need to copy the Warriors; they should just take a hard look and analyze what a good stretch four, solid wing defenders, and a new set of eyes can do for a franchise.